On the way to see The Weeknd, Beyonce, or Eminem for Coachella? 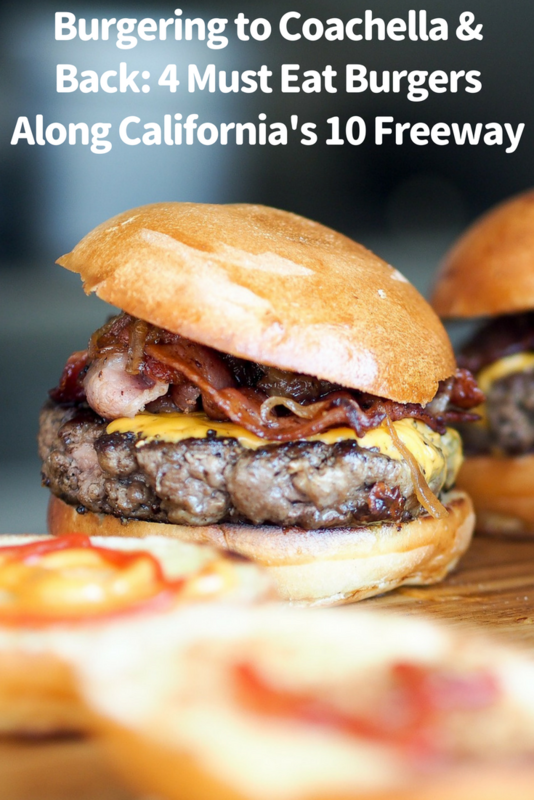 Well, folks get hungry for burgers and food on those four wheels traveling towards Palm Springs. Along the way, there are dozens of little towns that serve up great eats. Looking for a bit of an adventure? Maybe a little history with that patty? Look no further – travel on and dance the weekends away. P.S. They all have bathrooms. The Apple Pan has long been considered one of Los Angeles’ oldest eating institutions, if not in the country. Think Musso & Frank’s, The Grill in The Alley, or even the tony Beverly Hills The Polo Lounge. The founder of the Johnny Rockets restaurant chain, Ronn Teitelbaum, used it as the inspiration for his throwback eateries. 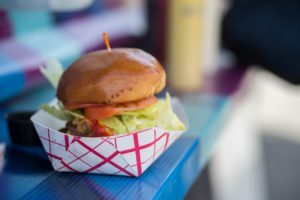 Upon visiting one of the faux-back diners, customers familiar with both will find paper-wrapped sandwiches and a pristine white-uniformed waitstaff. That’s pretty heady stuff for a small, family-run restaurant which was born when Sony Studios was Metro Goldwyn Mayer. Last year, the 27-seat restaurant, which only has a wraparound counter framing the kitchen, celebrated 70 years in the same Pico Boulevard spot. Nearly three generations of burgers lovers and pie eaters have eaten at the hard to come by seats. And, yes, today it’s a thirty to forty-minute wait to belly up to that burger bar, but that’s part of the experience. Tourists and So Cal locals chow down on the Steak and Hickoryburger. After all, the delicious food is only part of understanding the restaurant’s appeal; drenched with Hollywood sightings, you are likely to be eating next to today’s celebs like Nick Jonas, John Lithgow, or a Kardashian. If you start your journey or end it atop one of the modest swivel chairs – coming here is a must – eat the Hickoryburger mentioned above. It’s a patty slathered in a delicious (secret) hickory barbecue sauce, pickles, onions, lettuce, and a toasted bun. Served since 1945, the sauce is as much a mystery as the Mickey D’s “special,” the latter being a somewhat glorified Russian dressing. Price: $7.10 plus .50 for Tillamook cheese. Driving the 10 towards Palm Springs and Coachella, another LA icon pops up in Baldwin Park. 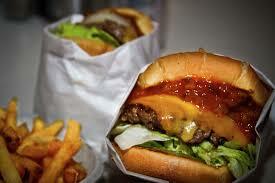 In-n-Out is now as well-known as the Golden Arches, and many burger lovers consider it an even better choice. Founded in 1948, the fast-food chain was founded right in this very Baldwin Park spot. Apart from the zealotry that In-N-Out aficionados have for the burgers, Henry Snyder developed the first drive-thru with a two-way speaker. It was his way of making the name ring true. If you are looking for the “temple” to the burger, go no further, as a replica of the original store is in this spot. Pick up a burger, your In-N-Out towel and swimsuit for the pool in which you will be swimming between Beyonce and Portugal. The man sets. There is no way one can go to the ultimate music festival without stopping at the quintessential California drive through. You’re in your car on the 10 freeway between Santa Monica and Coachella with your BFFs. 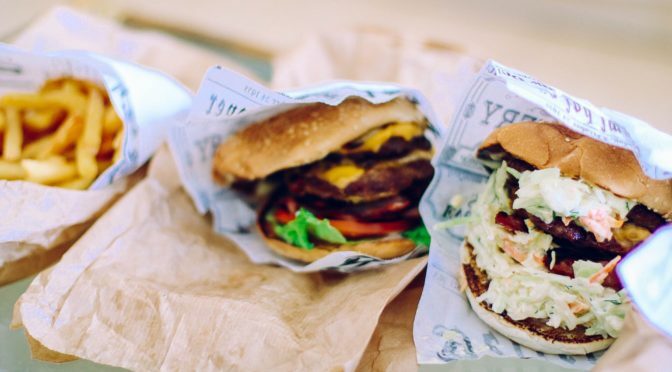 One – the individual with the ketchup stains on their vintage Wonder Woman t-shirt – says, “I’m hungry for a pastrami cheeseburger!” Well, that’s what friends do on the way to Coachella Music Festival. You create an adventure. Someone gets on their phone, seeking out the closest spot to eat a melty, succulent, and juicy pastrami cheeseburger right off the asphalt ribbon. Located on a corner across from another the golden arches is P & G Burgers. It’s a retro diner in the vein of Johnny Rockets, but with seating from the eighties. But your posse isn’t here to critique the interiors; it’s eating time. 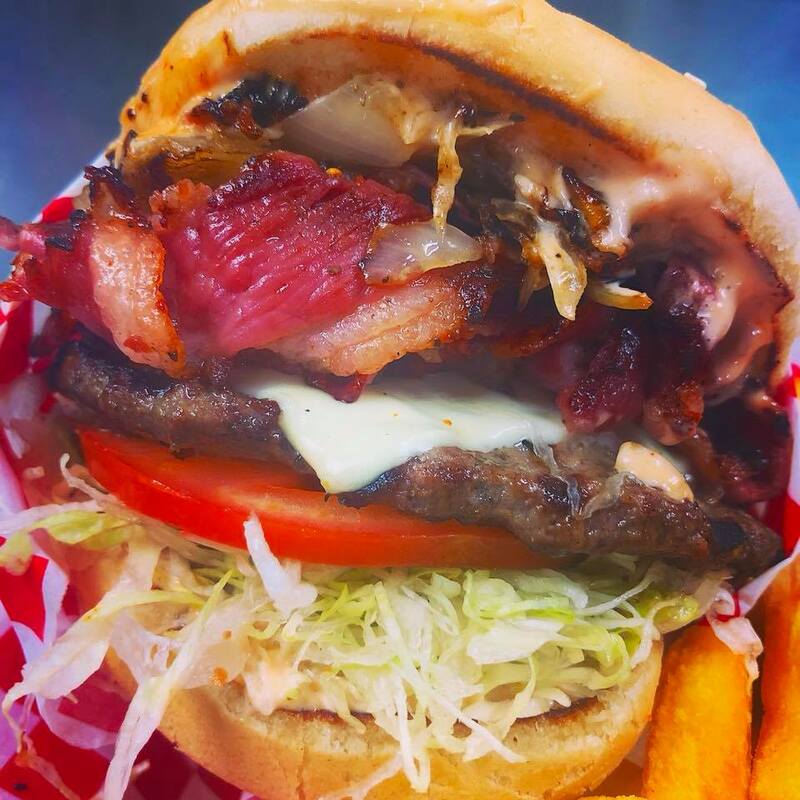 And there you are chowing down on something luscious, while wiping your lips slathered in salty richness, talking about how deliciously awesome the patty with pastrami, melted cheese, and grilled onions is. In between sloppy bites, your gangsta groupies question why Colton, California doesn’t receive attention as a great burger town. The only thing better is a sweaty Queen Bey in tight lace performing “Formation” as her hair whips about in the hot desert air…although the onion rings come in a close third. Yeah, it’s pretty IG-photograph and delicious. 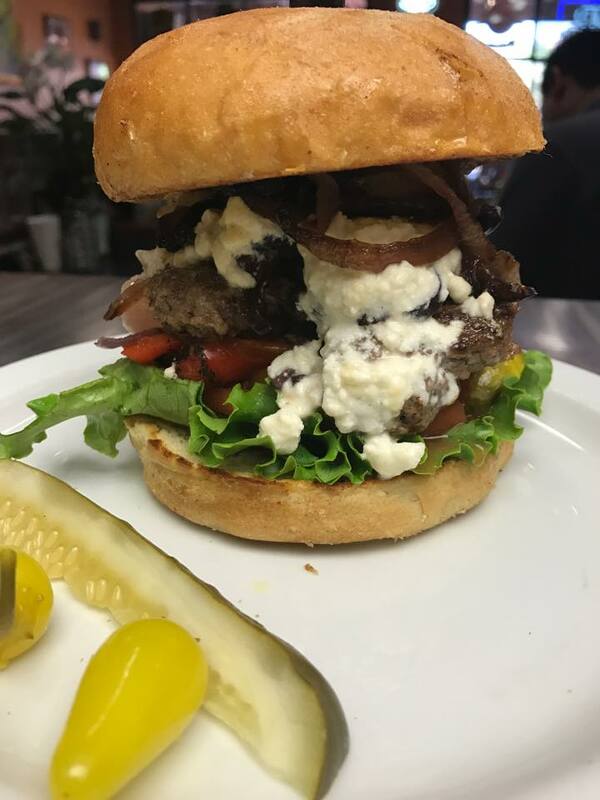 If you like to have a POV, order up the “Obama Burger.” He and the Mrs. supposedly bought a place in the tony neighborhood of Thunderbird Heights. They would have the secret service pick them up since they have an entourage to take to dinner. (Kind of like Justin Beiber or Kim Kardashian.) Even if it’s not true, it’s nice to know that the former president enjoys a well-made burger. I need to visit you in Palm Springs soon and grab one of those burgers. You had me drooling!